Nowadays, a vacuum cleaner can be found in almost every household mainly because it is simple to use and can be very efficient when it comes to cleaning. As you all know, a vacuum cleaner works by sucking in air with the help of a powerful electric motor and a turbine. Once the dust and dirt are collected, they are forced inside a canister for storage so you can quickly dispose of it later. Vacuum cleaners come in different size and shape. From a small portable vacuum up to large industrial models that can even be used to collect dry or wet debris in your home. 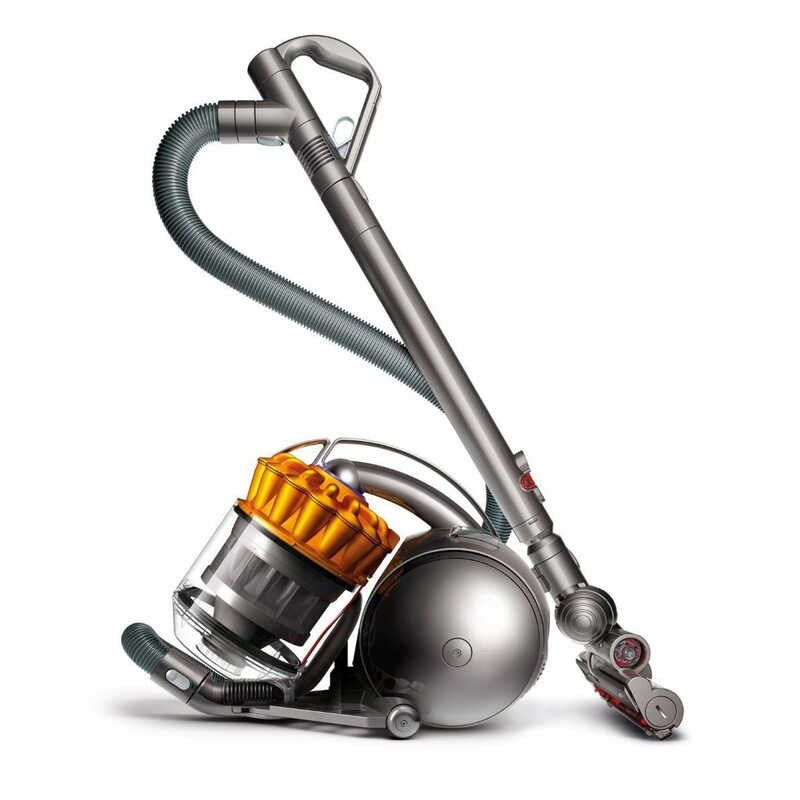 Vacuum cleaners are very easy to maintain, that is why it is common in most households today. There are also some other functions for a vacuum cleaner and it is not just for cleaning. First up is finding a tiny lost item. Vacuum cleaners may help you find your item especially in very tight spaces like under the bed. It can also be used to fix carpet dents or wrinkles. A vacuum cleaner can be used to inflate an air mattress, using its exhaust to pump in air. Some people even use a vacuum cleaner to groom their pets to prevent unwanted pet hairs around the house. The Electrolux Ergospace EL4103A is probably the cheapest on the list. When looking for the best value off canister vacuums, don’t rule this out on your list. It features a 3-in-1 combination tools adjust to clean crevices, stairs, and flat surfaces. The product also comes with a carpet turbo nozzle that allows you to clean low to medium height carpets or area rugs and an adjustable floor nozzle lets you switch from cleaning low-level carpets to hard floors in a turn of a switch. The cord length is 21 feet, plenty of areas to cover. Product dimensions are 16 x 12 x 11 inches and weigh 10.9 pounds which are considerably lighter to carry around. Another vacuum you need is you are looking into value and performance. The Miele S2121 features a Classic FiberTeQ floor tool ideal for cleaning low-pile carpeting, rugs, and smooth flooring. With Fibertech, you can easily transition from carpet to smooth flooring with a flip of the toggle switch. It comes with a Dusting brush, upholstery tool and crevice nozzle on VarioClip. The cleaning radius of 29.5 feet. The Miele S2121 Series delivers exceptional cleaning power perfectly packaged in an agile, lightweight body. Product dimensions are 9.4 x 22.7 x 15.2 inches and weigh 13 pounds. The Eureka Mighty Mite Canister is another good vacuum to own. The design is durable yet lightweight for portability and convenience typically used for home, auto and garage cleaning. There is an additional port that allows blowing airflow to shoot leaves and other debris quickly which can be used as a blower. A 20 feet cord is provided so you can cover more space in less time. Product dimensions are 18.2 x 13.6 x 13.6 inches and weigh 11.9 pounds. The 3670G is made of excellent value. It is compact and powerful. However, the noise is a bit high but is quite not at all that excessive considering how well it cleans. The Dyson Ball MultiFloor Canister Vacuum Cleaner surely looks like a ball as the name suggests. 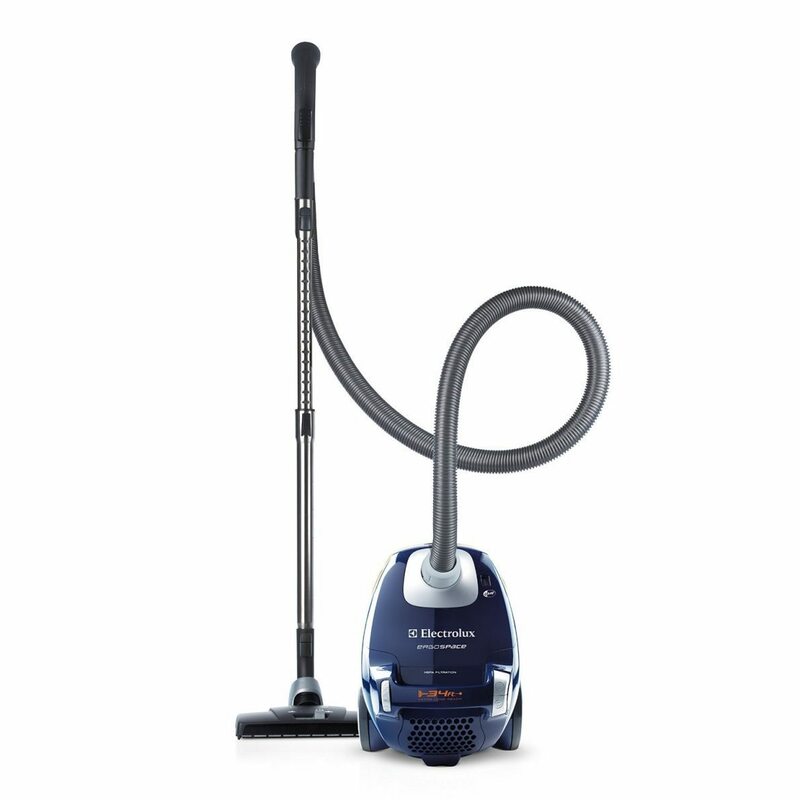 It is the only canister vacuum with a central steering mechanism and Radial Root Cyclone technology that captures more dirt that any other cyclone system with minimal loss of suction. With Radial Root the airflow is channeled through the center of the assembly to improve flow efficiency, preserve air pressure, maximize suction and capture more microscopic dust. The design is built around a ball, it is light to pull and follows you effortlessly around the home. 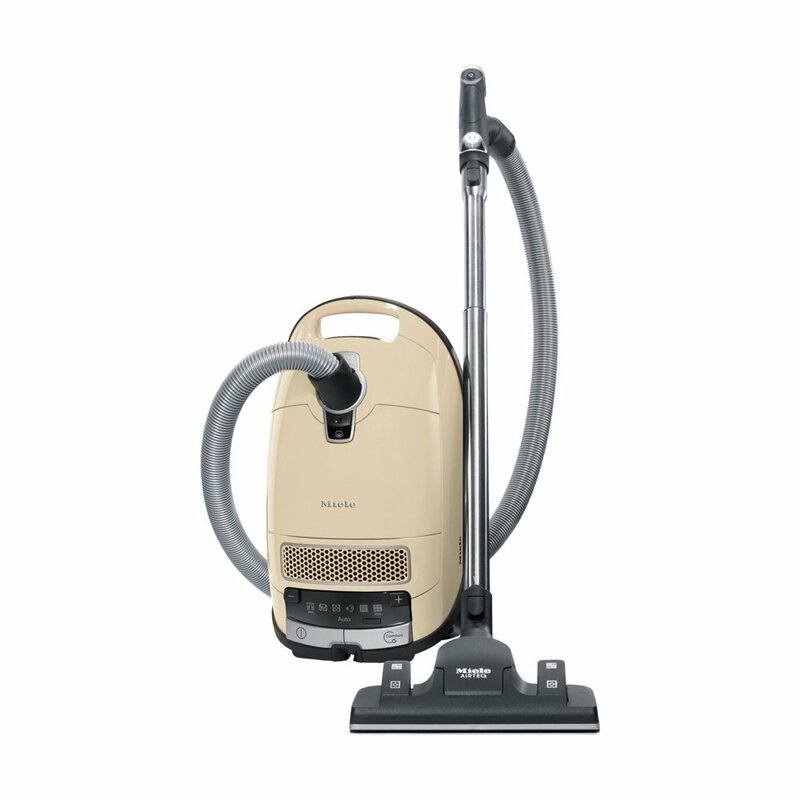 This canister vacuum is engineered for high dust removal which no other vacuum that can expel more air. 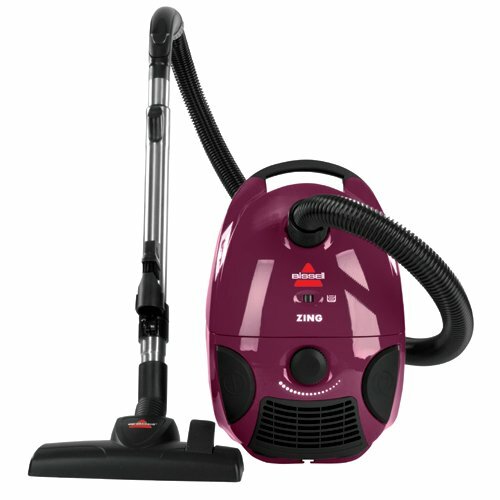 This one is another great canister vacuum at a very affordable price. It is Compact and lightweight it is easy to maneuver and store. It features a digital fingertip control that allows you to power the vacuum and control the suction for safe cleaning of delicate surfaces like drapes and upholstery. An easy-empty dirt tank opens from the bottom for preventing mess and flawless disposal. The wheels are made of rubber with felt treads, and they won’t scratch, scuff, or mark hard floors. Product dimensions are 10.7 x 13.2 x 8.7 inches and weigh 9.1 pounds. The Bissell 1161 is significantly lighter but with no compromise in quality. 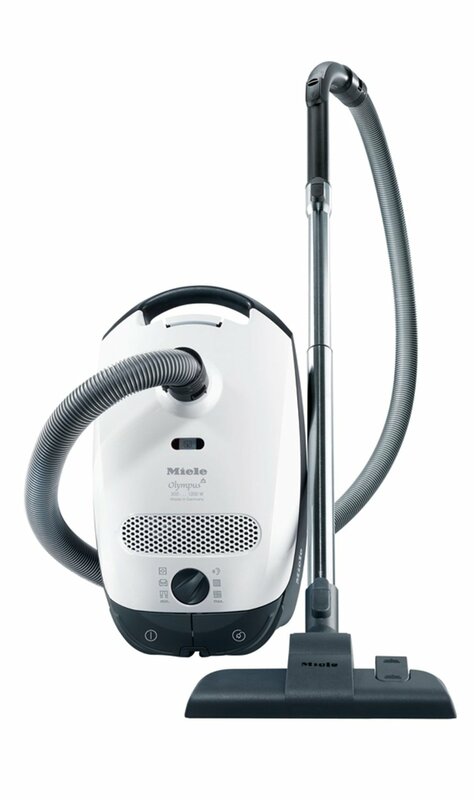 The Miele Complete C3 Alize Canister Vacuum has received many excellent product reviews. It features an automatic speed control setting and foot switch speed control for easy access. With a self-adjusting automatic setting when you transition from hardwoods to carpeting. A Hepa AirClean filter is installed to keep fine dust particles inside the storage canister. 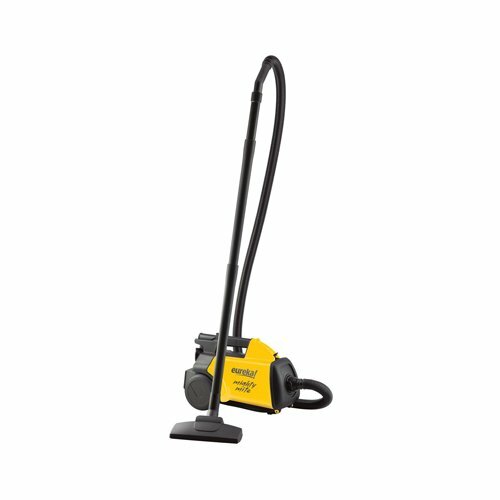 This vacuum cleaner has an operating radius of up to 36 feet, lengthy enough to cover a large area in your home. Product dimensions are 19.5 x 11.2 x 8.9 inches and weigh 19.4 pounds.